Games are usually straightforward. What you think happened is what actually happened. The Beginner’s Guide is different, cloaked in ambiguity. It’s led some people, albeit a small group, to theorize it literally represents a criminal act: stolen property. It’s a grave accusation, one that lives on because its designer remains silent. It’s understandable to advise people to get a refund if a game is broken. That’s not what was happening here. We’re not talking about a video game with egregious technical problems, like the PC version of Batman: Arkham Knight, this year’s prime candidate for the relevance of a consumer-friendly refund system. Dale’s issues lie with the notion that The Beginner’s Guide might be non-fiction, thatit might not be something people would feel good about having paid for. Crucially, Dale doesn’t explain why that is. Tapdancing around spoilers gets her into trouble, but spelling out the story (which lasts about an hour) would also be dangerous! To understand what’s really happening here, though, you need to know what happens in The Beginner’s Guide. Narrated by The Stanley Parable co-creator Davey Wreden, The Beginner’s Guide has players experiencing an increasingly upsetting story about Wreden’s toxic relationship with another developer, Coda, by walking through Coda’s design experiments. It begins as an upbeat commentary before it swerves in another direction. The Beginner’s Guide was authored by Wreden, not Coda. Wreden never says who Coda is or if it’s based on someone, but Wreden is a real person—I’ve met him and interviewed him several times. By making himself the narrator, he personalizes The Beginner’s Guide in a powerful way. You’re lead to believe what he’s saying in the game might be true. The game ends with a dedication to “R.” It’s unclear who R is. If that was all true, it’s understandable why Dale would want to give readers a heads up. In that world, Wreden has committed a crime. In Dale’s mind, she was doing her readers a service. One, recommending The Beginner’s Guide because she enjoyed it. Two, pointing out how a certain reading of the game could make some people feel uncomfortable about having paid money for it, and reminding them of a way out. Third, she refused to divulge the story beats to avoid spoiling anyone who might later play it. On their own, each is a defensible action by a responsible games writer. Together, it was a powder keg waiting to go off. When it did, the only question that mattered was whether The Beginner’s Guide was work of fiction or not. Despite the ongoing fallout, Wreden won’t say. Wreden told me he wouldn’t comment on the game’s story or theories about it. Dale later posted a clarification on Destructoid, explaining she viewed The Beginner’s Guide as “a work of fiction,” but “many players view the narrative as an accurate work of non-fiction.”From what I can tell, the non-fiction category is a minority...but it definitely exists. “If you fall into the camp that view this as non fiction, an aspect of the narrative implies that the content is stolen wholesale from another developer. While I paid for the game and believe doing so is a morally acceptable action, what I wish to make clear is that if players disagree with my reading of the narrative and feel I reccomended [sic] them an experience they didn’t morally agree with, there is a financial way to back out of that purchase. Dale cited an off the record conversation that Wreden that made her feel “a lot more confident.” When asked about it, she declined to elaborate. So did Wreden. The Beginner’s Guide disturbed me. It felt invasive—predatory, even. The mere possibility that Wreden had repurposed Coda’s work for his own, selfish purposes was uncomfortable to consider. Just because my personal interactions with Wreden were cordial doesn’t mean Wreden is a good person, so I, too, considered it could all be true. But this tortured feeling, planted as a voice in the back of my head as I played, felt deliberate. The Beginner’s Guide is effective because it relies on the narrative trick deployed by films like The Blair Witch Project, which traded scares on the tiny chance that it might be true. Others, like Cobra Club designer Robert Yang, wondered if Coda was based on themselves, given Yang was in the same circles during the periods of time outlined in The Beginner’s Guide. The confusion over the game’s basis in reality was debated by critics and players alike. The game’s subreddit has filled up with various interpretations on how to view Wreden and Coda’s relationship. Other players were emotionally distraught when they “realized” it was fiction. The theory I’ve subscribed to—the one that lets me sleep at night—is that Wreden and Coda are the same person, representing different parts of Wreden’s personality. The narrator is the excited and bouncy developer who gives fascinating talks at the Game Developers Conference, craving and actively seeking outward validation. Coda is the existentially distraught developer who wrote and drew a lengthy comic about the anxieties of success and how it made them feel depressed. Everything I’ve read about The Beginner’s Guide suggests it’s fiction. All of my reporting points in that direction, too. But when presented with the opportunity to take a stand, Wreden refused. As a reporter, I cannot definitively say one way or the other. I can only tell you what I believe. It’s possible Wreden is enjoying this. In a way, it’s a testament to his art. 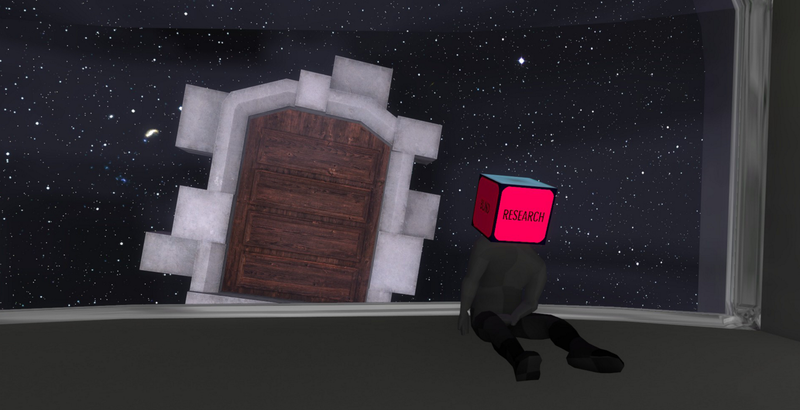 The Stanley Parable was a clever, subversive work that left players scratching their heads. The Beginner’s Guide, while tonally more serious, accomplished the same goal. And so far, no one’s been arrested.